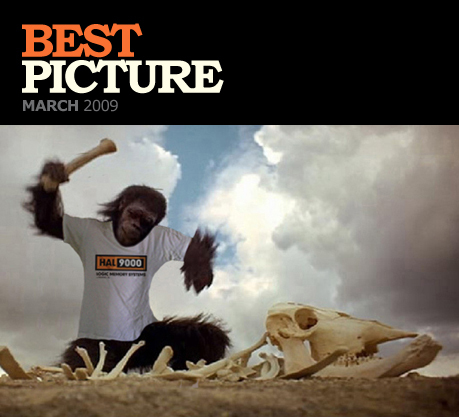 Tom Harper wins 3 T-shirts from our range for ‘Best Picture of March 2009’ with this cool manipulation featuring our HAL 9000 T-shirt, and the classic scene from 2001: A Space Odyssey. Many thanks to everyone that submitted images this month. Think you can do better? Send your pictures to info@lastexittonowhere.com for a chance to win!